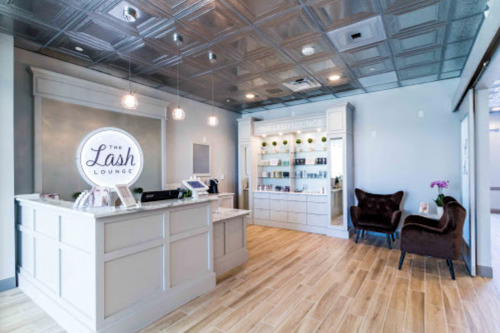 Feast your eyes on the final part of our “Lash Appointment Lowdown” series with tips straight from our salon owners. 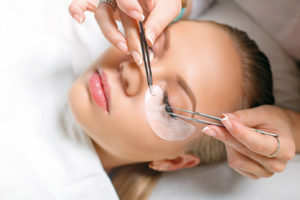 Today you’ll get some insight on one of the most important parts of having lash extensions: keeping them clean. 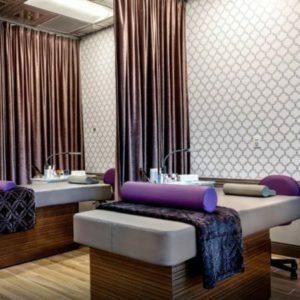 Continue reading below for this expert advice shared by Yvonne Hemphill, our Flower Mound – Robertson’s Creek franchisee. However, lash extensions can complement your daily look, even when that includes a full face of makeup! So, if you’re going for that jaw-dropping glam look, you go girl! For those of you that have a mascara soft spot, we suggest using one of our water-based mascaras. We have our Ultimate Volume Mascara (pictured in the silver tube below) and our Lengthening Mascara (pictured in the black tube below). Both mascaras are specifically formulated for eyelash extensions (hooray!) and we carry each in the salon. No need to special-order online, just pick some up during your next visit! One final important note for our mascara-loving guests: Always steer clear of waterproof mascara. Why? Waterproof mascara is NOT lash-extension-friendly. So, be careful while you’re scanning the makeup section; you want to protect your lashes and the investment you’ve made in them. Makeup or not, our number one tip, whether it’s your first visit or you’re a Lash Lounge veteran, is to keep your lashes clean and residue-free. Makeup, debris and natural skin oil can build up along your lash line if not cleaned properly and affect the durability of the eyelash adhesive. So, what’s the best way to keep your lashes clean and what type of cleansing product is safe to use? An oil-free and alcohol-free eye cleanser that is specifically formulated for eyelash extensions is best to use when cleansing the lash line. The good news is that we offer two oil-free and alcohol-free eye makeup removers. Our Special Eye and Makeup Remover has the same pH balance as natural tears, making it ideal for those with sensitive eyes. Then we have our Eye Makeup Remover Gel, which works on all skin types. Both are formulated to work with eyelash extensions and each cleanser is gentle enough to use as an all-over makeup remover. Let’s do a happy dance for only having to use ONE single cleanser…whoop, whoop! You will want to use one of these cleansers daily and be sure to avoid pulling or tugging on your lashes during your cleaning. Keep it gentle and use your fingertips or an eyelash cleansing brush to gently massage the cleanser into the lash line, then rinse with fresh water until the cleanser and any makeup product is removed. Bottom line is be gentle with your eyes and lashes! Last but not least, never hesitate to ask your stylist about the proper way to clean and care for your lashes. If you’re unsure about a product, bring it in and share that product with your stylist so they can tell you for sure whether it’s safe for your lashes. Don’t take any chances if you’re not sure; that’s what we’re here for! Aside from making your lashes look oh-so-fabulous, our stylists and staff are here for you and any questions you may have when it comes to life with lashes. After all, lashes are our LIFE! In case you missed them, go back and check out more tips from Part 1 and Part 2 of “The Lash Appointment Lowdown” series, and be sure stay tuned for more tips and answers to the most common lash questions, coming your way in just a few weeks!